Tamie: Hopefully y’all saw the contest we have going on that gives you the chance to win tickets to see the Fifty Shades of Grey movie at the Today show event. If you missed it there’s still time to enter until 12pm EST TODAY. Read about it here. Amy Harmon, the Author of Making Faces and The Law of Moses, has a brand new website! It’s wonderful and you can check it out here. Also, for our French readers, the French translation of Making Faces has been released! Congratulations to Amy on such a great accomplishment! French is such a romantic language… *happy sigh* If you know French, and you want to read the book, you can purchase it here. 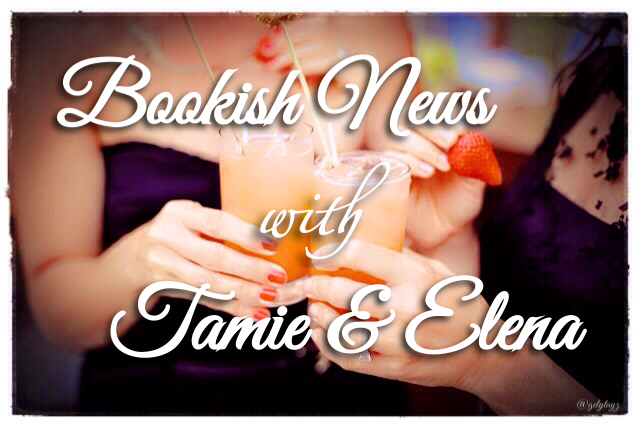 Tamie: We’re planning an amazing, upcoming event for you that will feature some of our favorite authors. Do you want me to namedrop a few of them?!? I don’t know…Elena what do you think? Tamie: That event will be followed by another one that I’m looking forward to participating in, and I’m pretty sure you’ll enjoy it as well. More details on that one soon-ish. As I mentioned a few weeks ago, E.L. James and Sylvain Reynard collaborated on something for us and HERE it is!!! The illustration that accompanies it is thanks to the very talented Victoria of Ruffles and Restraints. You can see more of her artistry here. This entry was posted in #OfficialFifty, Amy Harmon, Books, Favorite Authors, Fifty Shades, Great Bookish News and tagged Amy Harmon, favorite authors, Fifty Shades of Grey, Great Bookish News, Making Faces, Official Fifty.